Posted on: October 27, 2017 By: Christopher Brown, Esq. If you’ve recently quit a job with a non-compete clause, or are considering quitting, you may be wondering where you stand. If you plan to start or enter into a business in a similar trade or profession, you may be in breach of the agreement. Non-compete clauses are not standard for every job, but if you signed this agreement upon being hired or during your employment, the clause may be enforceable under law. However, this does not necessarily mean that you can’t fight a non-compete employment agreement. Learn more about the limitations of a non-compete clause and what you should do to move forward. Some employers require employees to enter into non-competition agreements before they can begin work. These agreements typically don’t take effect until after the employer-employee relationship has ended. While non-compete clauses are enforceable, courts often frown upon agreements that limit a former employee’s ability to earn a living. For a non-compete agreement to be valid, it must meet certain legal requirements. The non-compete agreement must be supported by consideration at the time of signing, must protect an employer’s legitimate business interest, and must be reasonable in geography, scope, and time. Non-compete clauses are generally supported by valid consideration, meaning the employee must receive something of reasonable value in exchange for the promise to refrain from competition. While you are not required to sign a non-compete agreement, it could cost you a potential job if you refuse. For this reason, many job applicants choose to sign such agreements at the start of a job. After quitting the job, an employee may want to start a new business in the same trade or profession, or work for a competing business. However, doing so could result in a violation of the agreement. Courts will look at different factors to determine whether or not a non-compete is reasonable. Does the employer have legitimate interest in protecting his business? How long is the non-compete clause enforced? What is the geographic scope of the non-compete restriction? Does the agreement prevent you from completing work different that the job you have been doing? Does the agreement keep you from making a living? Did the employer offer additional benefits or compensation in return for your signature on the agreement? The courts may also look at other aspects of the case, such as if the employment contract was materially breached. If an employer failed to fulfill certain obligations to an employee, such as compensation or benefits, then it could be argued that the non-compete clause is not enforceable. It could also be argued that the employer violated certain federal laws, such as the Fair Labor Standards Act (FLSA). FLSA violations can occur if an employee was not fairly compensated under federal law, meaning that the employer did not comply with FLSA laws. In some instances, a signed non-compete agreement may be valid and enforceable in the eyes of the law. Agreements that may be enforceable meet certain standards and requirements that are spelled out in statutes to ensure that the agreement is both fair and reasonable for all parties. One of the main factors that a court will look at when determining whether or not a non-compete is enforceable is whether the employer has a legitimate need that is met by the employee signing a non-compete. This interest is often associated with the protection of trade secrets, such as private customer lists. The non-compete must also be reasonable in terms of time. A court may find a non-compete unreasonable if it prohibits an employee from competing with an employer forever. Most courts will enforce a time period of six months to two years. For a non-compete contract to be valid, it must also be two-sided. This means that each party receives a benefit. On the employer side, the benefit is the employee’s non-ability to compete against the employer’s business interests. On the employee side, there could be a number of benefits. If you sign the non-compete at the beginning of your job, the benefit could be a job. In some instances, the benefit may be a bonus, promotion, or severance pay. Non-compete agreements are also limited in terms of geographic scope. Your employer’s non-compete cannot bar you from working in certain fields in any part of the country or world. However, the agreement may bar you from working in specific market areas or within a certain mile radius of the business. The agreement can also not be overly limited in the type of work that you can or cannot do. When a clause is too limited, it can make it difficult for an employee to find a new job. There may come a time in your career where you have the opportunity to work for your employer’s competitor for a raise in position or pay scale. Before taking the job, read your current employment contract carefully to see if a non-compete clause prevents you from working for a competitor and if so, for what period of time after resigning. If you void the terms of this agreement, you may be facing litigation in the near future. If you are unsure of the complex terminology in your non-compete agreement, consult with an attorney to determine its precise limitations. A poorly-drafted clause may provide you with a loophole. Employees are often faced with the difficult decision of going into business for themselves or changing companies after signing a non-compete agreement. While an employer may or may not be able to enforce a non-compete, it’s important to know whether the clause is valid or if you have the legal freedom to go forward with your career as an entrepreneur or employee for a competing company. If you are employed in Virginia and have signed a non-compete agreement or are considering signing a non-compete, contact an experienced attorney to determine your best options. 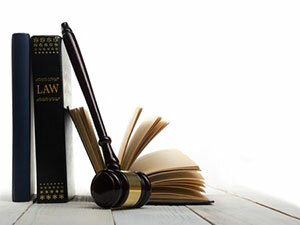 Schedule a free consultation today with the Brown Firm PLLC.